How sweet the sound! 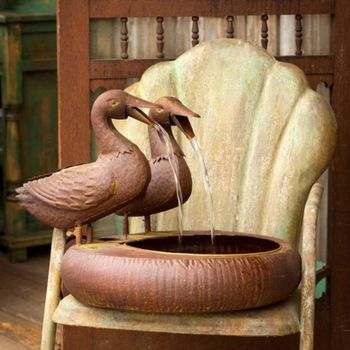 The joyful movement and call of falling water inherent in a fountain make these indoor and outdoor marvels a popular addition to porches, gardens and table tops. 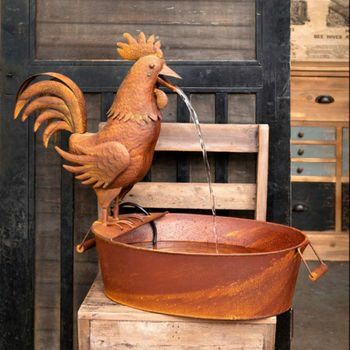 Soothing to the senses when recirculating water or hilarious as a fountain spitter when pumped through a cartoon-like sculpture! 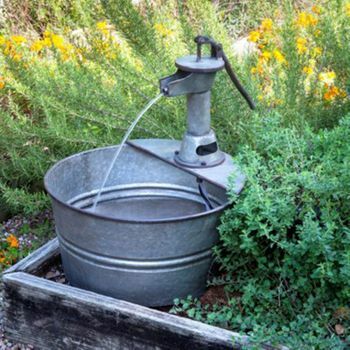 We even feature a fountain that doubles as a planter for more visual variety. 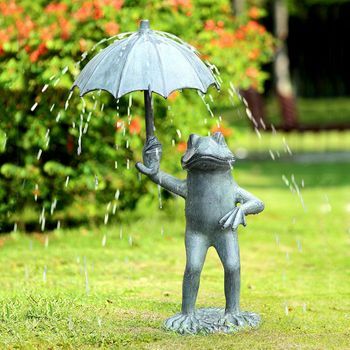 Not to dismiss your indoor chi by any means, our aluminum table top fountain offers a cross between fountain and spitter featuring a frog couple in their own private pond. No splash, no splatter but plenty of detail to admire. 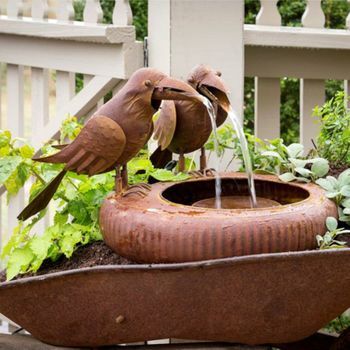 You can build a water feature to enjoy in a couple of months or simply order a fountain or fountain spitter from Iron Accents. 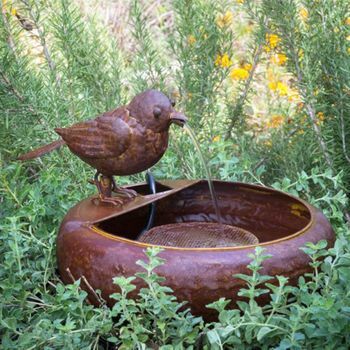 A fountain, unlike other decorative items, works with two senses at once: sight and sound. 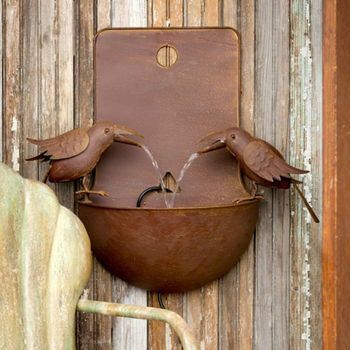 The pleasing trickling of flowing water goes a long way to providing a calming atmosphere, indoors or out. 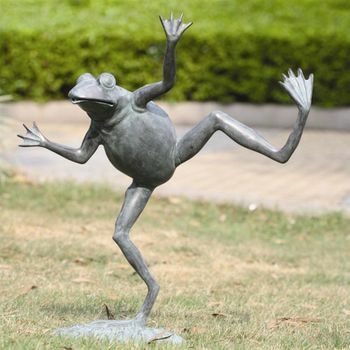 By blocking background noises and other distractions fountains help to enhance tranquility and peacefulness. A fountain does more than just please the eye and the ear it will ease your mood and sooth your soul.